Asperger Home Education is not aligned with any particular political party or ideology and neither am I recommending that you cast your vote for a particular party. The purpose of this article is to provide a summary of where various political parties stand on home education in order to help home educators make a judicious decision where to place their cross on the ballot slip. Only the establishment parties, the more prominent smaller parties, and very small parties with notable policies on home education, that are contesting constituencies in England are included in this summary. Parties confined to Scotland, Wales, or Northern Ireland are not included. Neither are very small or locally confined parties with no real policies on home education. The establishment parties generally contest every constituency in England but the choice of smaller parties on your ballot slip will depend on which constituency you live in. Some home educators planning on voting for a smaller party will be lucky enough to find that the party is contesting their constituency, whilst others will be denied this choice because the party is not fielding a candidate for their constituency. It is worthwhile finding out which parties are contesting your constituency then holding a short meeting with the candidates of the parties you are considering voting for in order to find out what their own views are on home education in addition to their party's national policy. Home education was a minor issue in bygone general elections. This was because England had one of the most liberal environments for home educators in the world with very few political parties openly stating that they wished to impose new legislation curtailing the rights and freedoms of parents to educate their children outside of the school system. In recent years the Labour run government has launched an severe assault on home educators and their rights and freedoms, culminating in the Badman report and the Children, Schools and Families (CSF) bill currently being debated in parliament. The outcome of this general election will almost certainly determine the type of environment in which home educators in England must live in. I strongly recommend that home educators make the effort to vote for a party or candidate with a positive stance on home education. There is a lot that can be said about the Labour Party and home education. After all, their MPs are overwhelmingly in favour of the Children Schools and Families (CSF) bill becoming law. Home educators should take a look at Vernon Coaker as a particularly insidious example of the type of people the Labour Party contains. "... I accept all the recommendations in your report that call for urgent action to improve safeguards for home educated children and we will introduce these as soon as possible, ..."
The trial has demonstrated, and statements today from the police confirm, that home education was a factor in this case. It shows why we do need a system in place to make sure that when children are home educated or removed from school, they not only get a good education but are safe. That is why I asked Graham Badman to review home education and home educated children's safety and welfare." These attitudes towards home education are not confined to cabinet ministers but are reflected in Labour Party opinion at local government level throughout Britain. Snippets of information from home educators have revealed that some Labour run councils even think that the recommendations of the Badman Report have now been passed as law! Verdict: Any home educator voting for Labour might as well sign a death warrant for their children. If Labour wins the general election then they will definitely press on with their agenda to outlaw home education in Britain. An article in the Daily Mail a few years ago (can anybody find it?) stated that Labour derives inspiration from Sweden - a country that is in the process of passing legislation to outlaw home education. "As Conservatives, we should be vigorously defending the rights of parents to reject the state's ideas on education and the constant testing, restrictive curriculum and poor results that often stem from them. Home educators are self-reliant, pursue excellence, cost the taxpayer next to nothing, believe the parent, not the state knows best and firmly reject the idea that government has the answers to everything. A home education can also be an excellent option for those who cannot afford private schooling but have no confidence in a failing local state school. The government must instead guard the sacred right of parents to educate their children whilst vigorously tightening the current system when it comes to child welfare. After that, it should look at its own ability to fulfil the Every Child Matters objectives rather than continue to pursue those who put their faith, time and passion into home education. To read the speech I (Mark Field, MP) made on this issue in Westminster Hall on Tuesday, click here. This speech has attracted breathtaking support from home educators nationwide and I have received emails from many non-Tories who have said they feel so passionately about it that they will be voting Conservative at the next election. CES members have shown an interest in home education. Indeed, we have home educators amongst our members. When the big brother thought police start on about parents having a legal duty to send their children to school, they need to be reminded that, at least as the law stands now, they do not. Their legal duty is to ensure their children receive a suitable education, and that can be by home education if they wish." Verdict: The Conservative Party appears to support home education but the question is can they be trusted after the general election? However, much of the support of home education, and the defence of the rights of home educators, comes from personal statements of individuals rather than official policy statements of the party. "He is already familiar with the issues and opposes any form of dictating what is 'suitable' as long as there is a plan in place. He also said that training is needed to make sure that the councils department in charge and the advisors / inspectors understand autonomy. The important point about whether home ed is included under the Diversity and Equality department and budget as opposed to Education social work/ truancy was very valid. He also said he would like to see implemented the parts of the review which enables parents who choose to utilise the services offered by schools extended hours, trips, work experience, GCSE etc. He did however say that seeing as all schools are inspected, so too should educators whose children are not in school but again emphasised he disagrees with changing a parent's right to choose their philosophy of education." Verdict: Under a Liberal Democrat government all home educators must register with the local authority and they must have a planned curriculum. The Liberal Democrats are strongly supportive of the state school system and contain many teachers within their ranks. It is possible that the Liberal Democrats will be more hostile towards home educators than Labour. The Badman Review into Home Education, out today, has been slammed by UKIP as a heavyhanded Government attempt to tell parents how their children should be taught. "The release of the Badman Review into Home Education today is yet another example of this government's controlling, heavy handed approach to society," said UKIP chairman Paul Nuttall MEP. He said: "Calling for local councils to have the right to interfere in the responsibility of parents to provide sufficient education for their children may sound reasonable but amounts to a grab for power. "Worse still the Government is using appalling scare tactics to justify its actions by suggesting that home education is a cover for the worst forms of child abuse. No evidence is presented merely smears and threats." The newly-elected North West region MEP said: "UKIP believe that it should be up to the parent to decide how their children be educated. "Child abuse must be tackled, but the tragic failures of the systems have been due to local councils' inability to follow basic procedures, not due to home educators. "The fact that this report is being backed by organisations such as the NSPCC and the National Children's Bureau should come as no surprise. "Those organisations are these days largely adjuncts to the state and appear to see for themselves a role in the monitoring, inspecting and running of Home Education, all for a nice taxpayer-funded fee. They are not independent voices and mustn't be seen as such." 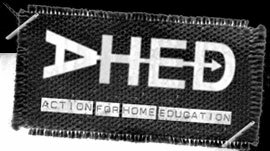 An Action for Home Education spokesman has called for the Badman review to be abandoned, saying: "AHEd members believe that the review has been composed in this skewed manner in order to attain predetermined answers for the purpose of supporting the government's desire to impose compulsory registration, monitoring and tracking of electively home-educated children and their families, including state control and prescription of educational method, content and outcome for all children." UKIP's home education policy can be found here. Verdict: Very sound and well thought out policy. "The British National Party has come out firmly against Government proposals to interfere in the rights of parents who home educate their children." "The Home Education Community contends that the Badman Review proposes disproportionate intervention for a problem which has not been proven to even exist," she continued. "These proposals work from the presumption that home educated children are somehow in harm's way, whereas the facts show that such children are not at any more risk of harm, nor in need of child protection, than any other children in this country." "Furthermore, the very concept of interviewing a child all alone in his home is contrary to all principles of English law which have existed for centuries." "The Englishman's home will no longer be his castle, and parents will no longer have the right to protect their children from state interference," Mrs Jordan said. "How long will it be before 'government interviewers' begin to demand that all children are given the politically correct nonsense view of the world which is currently taught in schools?" she concluded. Verdict: The BNP is considered by many to be a controversial and maligned party but it is difficult to fault their policy on home education. Inside sources have revealed that BNP members who home educate their children are uncommon. Alternative forms of education to the state system (e.g. Steiner schools, home education) should be encouraged. Local Education Authorities will work to increase their support to a wider range of teaching approaches, such as home education, part-time schooling, Steiner education, human-scale education, and small schools. This will be encouraged through LEA-led clustering of schools, allowing each to focus on different approaches to learning. In the run up to the 2001 general election the Green Party supported home education and this was reported by the BBC in their summary of party policies. At the 2008 Autumn Conference a policy motion on home education was formed implying that home educators and their children will be subject to inspections by the government and will also have to teach certain state approved curriculum material. ED270 We acknowledge parents' rights to educate their children at home. It is important to understand many of the reasons parents turn to this such as dissatisfaction with the school curriculum and bullying and attempt to alleviate the need for home education through the green party's radical reform of the education system. Ultimately the right to home education should still be there. This should be matched with quality checks to ensure that all young people have a broad and diverse education of a high quality. This policy motion is now incorporated into Policies for a Sustainable Society which is the manifesto of long term policies for the Green Party. ED150 We support parents' rights to educate their children in settings other than at school. ED151 Too often parents exercise this choice as a result of negative experiences such as children experiencing bullying, feeling restricted by the curriculum or intimidated by large schools and class sizes. The Green Party's reform of the education system would alleviate many of these issues. ED152 Where parents still choose to educate their children at home this would be supported by Local Authorities which would work to ensure that all young people have a broad and diverse education of a high quality." Policy ED152 is ambiguous. Are parents or the local authority responsible for a home educated child's education? I would like to point out that the Green Party does not have detailed policy on the proposals contained within the Badman Report so the comments in this letter are very much my own personal views, albeit within a policy context that is very supportive of home education. The Green Party fully supports the principle of home education and flexi-schooling. Clearly, full-time school attendance is not necessarily going to be appropriate for all children and we believe that society should be flexible enough to allow suitable alternatives such as home education. The benefits of autonomous learning, as you say, are supported by both US and UK reports which show it is a very efficient educational approach. I can see that freedom of choice to decide the way in which your child is educated, especially where a key factor is the child's involvement in the decision-making process, is an important emotional and philosophical choice for a parent. The Green Party does recognise the need for regulation of some form to ensure that home educated children make progress, but certainly not in the form proposed in the report. Again, the proposed regulation of home education was reiterated. The Green Party is committed to upholding the state education system, albeit in a different format to that of today, and proposes to spend more public money on state education and associated services including free school meals for all children. Verdict: Inconsistent is the best word to summarise the home education policies of the Green Party. It is probably safe to conclude that the Green Party doesn't really understand Home Education and it is likely that few of their members have any real involvement with active home educators. Conversely, there doesn't appear to be much support for the Green Party from home educators in England judging from home education websites and discussion forums unless somebody knows otherwise. Another issue that needs resolving is how the Green Party's policies on the compulsory immersion of young people in multiculturalism tallies up with the rights of parents to educate their children as they wish. Concerns have circulated within the Green Party that home education could be used as a vehicle for parents to pass on their undesirable or 'racist' prejudices to their children. I suspect that the proposed checks to ensure that all young people have a broad and diverse education focuses on the issues of multiculturalism and cultural diversity more so than academic subjects. On the one hand parents may wish to be free from any State control, while Taxpayers have a right to expect the State to spend their taxes prudently. The nub is "prudently", as it immediately becomes a value judgment and a collectivized one at that. Our position is that we would not prevent people Home Educating, nor would be demand any kind of "notification" across the board, which can rapidly become a Trojan Horse for State control. However, should the Educator request that the taxpayer fund such education - take the State's Shilling as it were - there would need to be evidence that the funding was in fact delivering an education. It is unreasonable for anyone to demand no strings funding from the Taxpayer and we feel that genuine Home Educators will understand this point completely. Verdict: The Libertarian party is very small and is only contesting a handful of constituencies, but it is noteworthy on having a clear policy on supporting home education. Despite the small size and obscurity of the Libertarian party, it has won quite a bit of support from the elective home education community although there doesn't appear to be the same level of support from home educators of children with SEN. I am unable to find any policies on home education either on the English Democrats website or using an internet search. It's difficult to see that a party like the English Democrats has anything to gain from being hostile towards home educators, but the lack of any mention of home education is somewhat baffling to say the least, especially after all this business with Badman. If the English Democrats have any policies on home education of have been involved in any home education activism then could you please let us know. Verdict: Difficult to tell at this stage as more information is required. I am unable to find any policies on home education either on the Respect Party's website or using an internet search. Inquiries from a few years ago produced two inconsistent responses. One member (a Muslim) stated that Respect supports the right to home education. Another member stated that Respect believes that all children should attend state schools. I'm inclined to say that these are personal opinions rather than official party policy. An email was sent to Abjol Miah, the candidate for Bethnal Green and Bow, on the 5th April requesting both his own and the Respect Party's policy on home education. We are still awaiting a reply. Verdict: The Respect Party appears to have very little knowledge or understanding of home education, and this is probably reflected in their membership. Neither does Respect consider home education to be an important issue. If you happen to have noticed any errors or omissions then please inform us.